Al Lowe, the creator of Leisure Suit Larry, has put up the source code for the first and second installments in the Leisure Suit Larry franchise up for auction. For those who are not familiar with the Leisure Suit Larry titles, they are primarily adult adventure games with heavy comedic and sexual themes, with the first title released in 1987. The many installments in the Leisure Suit Larry were some of Sierra Entertainment’s most popular releases. A significant amount has changed since the releases of the original Leisure Suit Larry games, including developers and publishers Sierra Entertainment dissolving and being revived years later. While decades have passed since the original release of the games, Al Lowe hasn’t lost or discarded the original source code for the titles. He has a bit to say in the description of the two Leisure Suit Larry auctions as to why he still has the source code disks and what exactly are the contents inside. When I finished creating Larry 1, I thought I should keep a clean archive of everything needed to recreate the game, so I copied all the source code, text, animation, background art, music, sound effect… everything I could to these floppies. I then packed them in a box (that once contained blank floppies that I bought to produce my games beforemy Sierra days). I then put that yellow box into a black storage box whereit sat, undisturbed, for over 30 years! Al Lowe’s reasoning for why he still owns the box is simple, as many companies at the time did not archive code, it was up to programmers to save their work themselves. Had he not archived his own work on the Leisure Suit Larry games, the source code would no longer be available as Sierra Entertainment did not archive anything. He has more up for auction than just the source code for Leisure Suit Larry in the Land of the Lounge Lizards and Leisure Suit Larry Goes Looking for Love (in Several Wrong Places) though, including a couple of extremely rare retro titles Al Lowe worked on like Bop-A-Bet and Dragon’s Keep. He also has a Sierra Christmas Card disk available as well as the floppy disk of Softporn that inspired him to create Leisure Suit Larry. 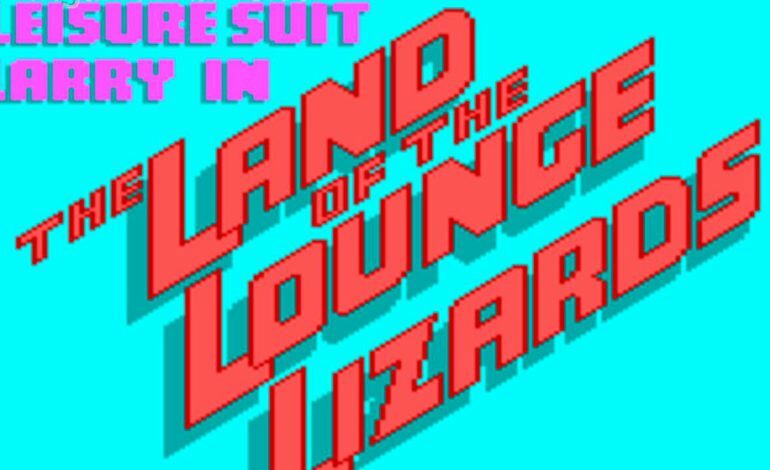 You can view and take part in the auction here for Leisure Suit Larry in the Land of the Lounge Lizards and here for Leisure Suit Larry Goes Looking for Love (in Several Wrong Places).